In Growing Patient Volume Part 1, we discussed the first five online strategies to maximize elective procedures and grow your patient volume. Today, we’re reviewing the last five strategies, which were all discussed in our American Academy of Ophthalmology (AAO) Conference presentation this past week, held by Hult Marketing’s CEO, Jim Flynn. Our goals for this presentation were to have our audience leave having an understanding of the importance of identifying and expressing their differentiated practice value, the role of content for a higher performing online strategy, and the top ten online strategies to maximize elective procedures. 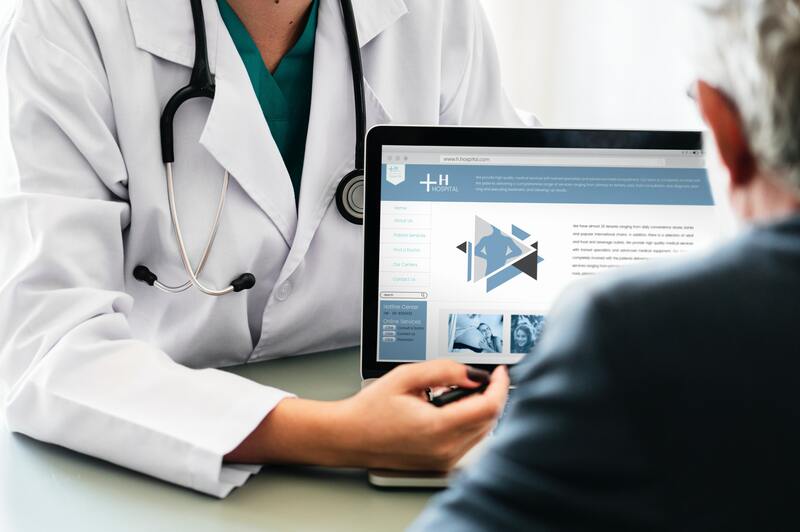 Optimizing your website for your patients is the key to engaging with prospective patients during their patient journey and converting visitors into prospective patients. Your website is the base on which all your other marketing strategies are built, so it needs to be optimized to function as a well oiled machine for all your other efforts. This can be done in many ways including using keyword-based titles, creating meta tags, developing new sitemaps, and many more. Googlebots are continually indexing the content on your website based on a variety of criteria, including “freshness.” Website pages have content that does not often change and in some ways is considered “stale” by Google, which can adversely affect your Google SERP ranking. One of the most easy and cost-effective ways to keep content fresh is through regularly posting relevant content that people are searching for on your Blog. Choose appropriate marketing automation software that fits your company’s needs. This will allow you to handle all your marketing campaigns from one interface. For example, HubSpot allows you to manage all your calls-to-action, landing pages, workflows, email campaigns, blog posts, and much more, all from their platform. This reduces confusion, allows for an easier learning curve, and an overall more effective program for your team. Today, content saturation is making it harder than ever to stand out in your patients’ feeds. That means you need a clear social media strategy, an optimized content calendar, and a plan to make every post count. Creating a mix of warm, feel-good posts about your staff and doctors with posts about eye-health related subjects and posts designed to promote content on your blog and landing pages is most effective. Get your leadership team and any other decision influencers to understand the key components of marketing and that it is a revenue-generation activity in that it allows you to generate prospective patients and nurture them through engaging content. Proving your ROI will not only get your team on board, but it will allow you to illustrate the success of your marketing efforts over time. By identifying and implementing these important online strategies, you will help your practice build more measurable results and a better ROI to meet your business development goals.